If you like your comedy shows to also be an educational experience, then Alfie Moore’s latest stand up hour A Fair Cop Stands Up may just be the show for you. Drawing upon his many years of experience as a policeman in Scunthorpe, Moore embarks on an hour of insightful observations and hilarious hypothetical problem solving. I caught a preview of the show at Birmingham’s MAC. Alfie Moore arrived onstage armed with an abundance of facts and statistics which he delivered throughout the hour, using them as a springboard for jokes and anecdotes. There were occasional breathtaking moments of bitter sarcasm that gave the whole show a darker edge, such as Moore’s interjection regarding minority groups in the force: “we don’t allow people who are colourblind into the police force as they wouldn’t know who to stop search”. Other elements, however, remained endearing with the comic’s obvious nice character shining through, which served as an intriguing contrast against the shocking ironies of some of his lines. Here we have a stand up who undeniably cares for his craft a great deal and the hours of work behind the material showed in the pages of notes he flicked through between segments. It felt at times that he was perhaps a little too eager to generalise ‘the public’ and our likes and dislikes, maybe this is a policeman’s trait, with some observational assumptions sneaking in as Alfie tried to tie his material together into a definitive narrative. I’m sure this is something he can work on over the coming weeks as the final parts of the show come together; it’s just a case of fine-tuning now. Alfie Moore is currently performing preview shows of A Fair Cop Stands Up across the UK and will be taking the completed show to Edinburgh in August. Rob Rouse is a name I knew, but a face I did not, so it was great to finally be able to put a face to the name of this rising star in stand up comedy, at one of the Edinbrum Preview nights at the MAC in Birmingham. Rob’s energy is consistently intense for the duration of his time on stage, perhaps reflecting who he is as a person. The general enthusiasm he presents his show with is admirable and would probably have been enough to see him through even if his material was sub-standard. But, of course this wasn’t the case and Rob’s delivery merely served to enhance what is already a well crafted, and satisfyingly personal hour, with material about his ‘wife’ and two young children, as well as delving (perhaps a little too far) into the details of his own health and recent visits to the doctor. Throughout the show, especially towards the end, it appeared that a lot of what was being said was entirely impulsive, with Rouse bouncing off the audience as well as exploring his own ideas within the written show a little further. He showed skill in his noticing of which parts got the best reaction and running further with them, persistently driving ideas through to, and often past, their apparent conclusions, in order to get the most out of his material. Not only does this show great artistic bravery as a performer, it also allowed Rouse to demonstrate what an able storyteller he is, often delivering hilarious anecdotes that didn’t necessarily need any punch lines as such. The look in his eyes told us he couldn’t quite believe this untested, spontaneous material was going so well, which only added to the enjoyable element of comedic danger present in the room. This hyperactive evening of comedy was greatly enjoyed by Rob’s audience and certainly, it was clear, by the comedian himself. It will be interesting to compare the end product of this show to the inner workings we were able to see. Rob Rouse will soon be performing his new show across the UK. 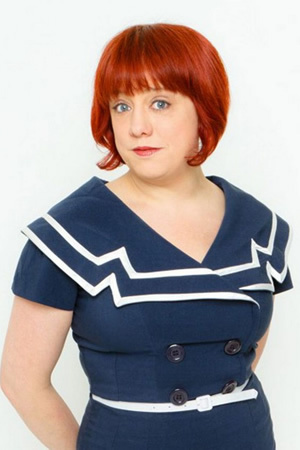 Angela Barnes is a name I have followed for quite a while now, and I’ve even interviewed her, but only recently found the opportunity to see her perform live at the MAC in Birmingham: a preview of her second stand up show, Come As You Are. Things have been changing for Angela in recent times. She has found love, had various strange health hiccups and her friends have all started having children. And though she is keen to share all that she has learned with her audiences, it is clear that her adventures and successes career-wise have not gone to her head. Her general demeanour on stage is very approachable and friendly, which made the whole affair feel a little like a lovely, small village meeting rather than a stand up show, particularly as a result of the decision to abandon the microphone early on. The show itself oozed competence and natural flair, despite it being a work-in-progress with infrequent pauses and note scribbling (which was of course to be expected). The content fitted together well and it felt as though we, as an audience, left feeling like more of a collective, such is the relatability of Angela’s material. This new hour contains multiple incredibly dark elements (a sick reference to Nigella Lawson here, an anecdote about a lonely pensioner there) which seem to crop up out of nowhere and really lifted the whole experience to a new level. Often following up her delightfully grim comments with questions like “was that too dark?” as though that’s a bad thing makes me worry that Angela might actually remove them from the show, but I greatly hope that she keeps them in. I’d argue that there’s still room for her to add more. Angela Barnes is currently performing preview shows of Come As You Are across the UK and will be taking the completed show to Edinburgh in August. In theming his show around the cult film Back To The Future and its two sequels, it was clear from the outset that Paul Kerensa’s performance at the MAC in Birmingham was going to be an interesting experience, particularly as someone with a limited recollection of the trilogy other than the obvious standout features (aka time travel and hoverboards). 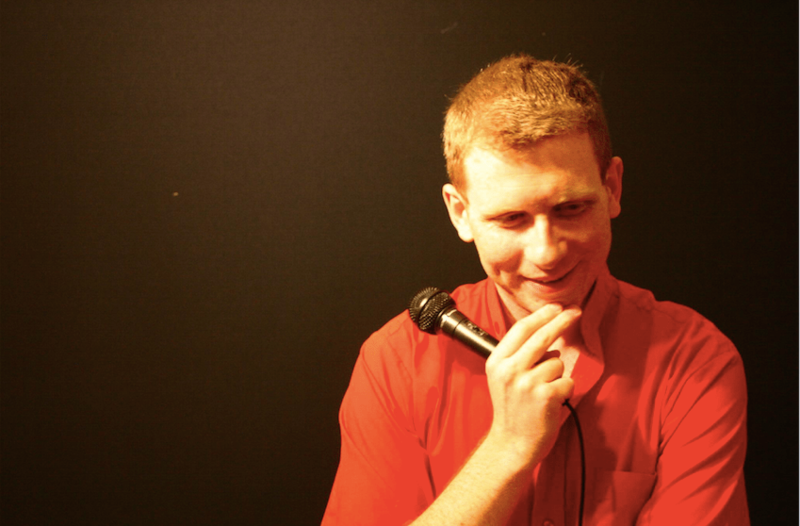 This comedian has an openness which borders on vulnerability on stage, meaning that he appears to be very approachable and is immediately liked by his audiences. Kerensa used his interpersonal skills to ensure that this somewhat niche topic did not alienate any member of the audience. Over the hour, he managed to make the subject matter accessible by all, using Marty McFly’s adventures as a springboard for more relatable material. There was an unavoidable sense of nostalgia throughout the proceedings, with Paul clearly differentiating between his experiences at the Edinburgh Festival in 2006 performing Back To The Futon (part one) and where he finds himself now, having since married and had two children. The show itself is ambitious as Kerensa experiments with technology to create a homemade time machine, which seemed to still be in relatively early stages of production (understandable, of course, when you consider the difficulties of combining pre-recorded video with live stand up comedy). 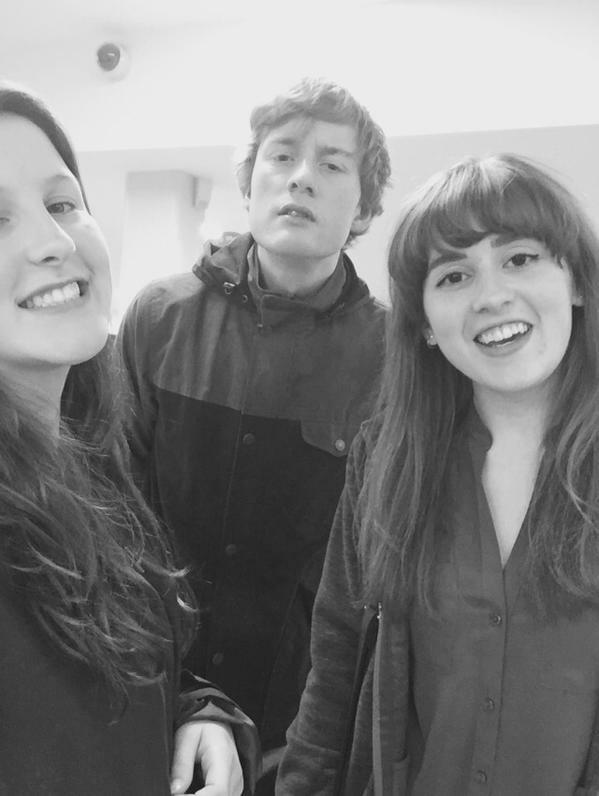 The show was imperfect, but it was a preview after all and the flaws in the production helped maintain the friendly atmosphere that James Acaster had established an hour earlier. I have no doubt that the finished product will delight Back To The Future fans and general comedy enthusiasts in equal measures. Paul Kerensa is currently performing preview shows across the UK and will be taking the completed show to Edinburgh in August. James Acaster is quite undoubtedly one of the strangest stand up comedians currently working on the circuit in a way that truly delights any audience who is accustomed to seeing a more regular stand up style. Arriving on stage at the MAC in Birmingham to the sound of To Be a Pilgrim and remaining silent for an uncomfortably long period time, Acaster immediately proved his commanding presence. What is most remarkable about this comic is his ability to craft a (presumably) entirely fictional story from a few disparate elements. He conceals his observations in make-believe anecdotes, such as eating fortune cookies in the cinema, which gave the show an otherworldly feel despite the events and people within the stories being regular, everyday and (predominantly) earth-based. The personalities in the stories are varied and detailed, and even the specific elements of “celebrity gossip” James includes are unusual to say the least. He’s a very physical performer, often meaning that he doesn’t always need words at all, his gestures and facial expressions are enough to force laughter from everyone. The constant, erratic movements gave the show an unpredictable feel and James’ intentional jitteriness was reflected in his material as well; he was able to throw in spontaneous lines throughout so much so that some of the funniest moments were completely impulsive ones. It is easy to see how well-rounded and effective this show will be when it reaches a stage nearer completion, but the amount of love in the room for James was clear and his preview was better than some completed shows I’ve seen in the past. The levels of self-depreciation were somewhat disappointing seeing as James is clearly such a capable performer, but this provided humour nonetheless. And as an audience, of course, it was nice to be commended for being “useful”. James Acaster is currently performing preview shows of Represent across the UK and will be taking the completed show to Edinburgh in August. It’s nearly time for the Edinburgh Festival 2014, and although that makes me want to shrivel away with jealousy because I can’t be there, it also means comedians are performing their shows to small audiences in order to perfect their routines. I visited a lovely little art centre called the Mac in Birmingham, which I’d urge anyone to visit if they are nearby as it also puts on theatre performances, art exhibitions and cinema shows (amongst many other things). Firstly, we saw Sara Pascoe’s show: Sara Pascoe Vs History, which was a wonderful mix of relatable material, crazy facts and a small amount of madness. Sara has been one of my favourite comedians for a while and she has growing audience-wise week by week, having recently appeared on Mock The Week, for example. It’s been great watching her television persona develop over time and I was really looking forward to actually getting to see Sara perform her stand up to a live audience. What I loved most about Pascoe’s show was that she talked very openly regarding her feminist views without leaving a resentful feel in the air: she spoke of liberation and change. But also, it was hilarious. One of my favourite ideas she expressed was one that she also talked about on Mock The Week very recently: that Page 3 should actually be made like jury duty, where anyone could be called up at any time. She expanded on it during her live show and I actually think it’s an excellent idea in theory, but I definitely don’t want to see it put in place! (Well, actually, I gladly don’t read The Sun, so maybe I, and most people I know, would be okay!) I really enjoyed Sara’s set, even though everyone was sure the building was burning down at one point and even the venue staff had to investigate the smell of smoke during the interval. Next, we saw John Robins (my latest Comedian Of The Month, who is a relatively new comedian for me) with his show: This Tornado Loves You. I talked at length about John’s style of comedy in the post mentioned above so I won’t go too far into that as I’d just be repeating myself. However, what I will say is that this new show is very strong, with a good balance of accessible observations (such as an in depth analysis of the strange tradition of weddings and people’s behaviour at such events) with brilliant acted out scenes that only contained one person (John, obviously), but were developed around another silent character. I found a quote for John which summed up what his new show portrayed: ‘His self-deprecation and Olympic ad-libbing would have you skipping happily down even the darkest alley’ (Venue). It was really interesting to see which jokes from both comics didn’t work with the audience, not because they weren’t funny but simply because there needed to be something additional said in order for us to understand and appreciate them (such as subtle wordplays that kept going unnoticed). If you’re in Edinburgh this summer or are interested in seeing some preview shows, I definitely recommend both Sara Pascoe and John Robins as they are both very talented and hard-working comedians.